The VPR Saturday Special returns to The Promised Land for the final episode in the series, "Voices from the Gulf Coast." 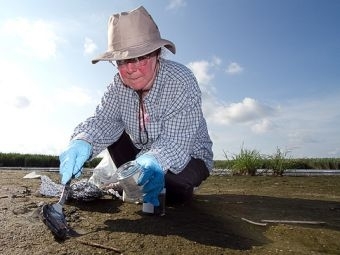 understand, cope with and combat environmental issues.” She has been addressing the environmental concerns of coastal communities for the last 30 years. Tune in Saturday at 4 on VPR for a story of resilience and empowerment. Burlington has reopened North Beach. The beach was closed Tuesday after elevated levels of E. coli were found in the lake following Sunday’s heavy rain. Flood cleanup efforts in areas hit hard by Tropical Storm Irene drew scores of volunteers on Saturday. Governor Peter Shumlin had asked people across the state to pitch in, hoping for at least one last push before winter arrives.